I guess, the header says it all. This page is primarily to keep my musical journey condensed. 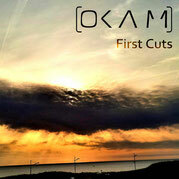 If you want to learn more about [OKAM], then take a look at the "about" section or listen to a couple of songs. If you like what you hear and see, please feel free to say "hi" or drop me a comment on my facebook page. All links are down below. It'd be awesome. By the way, all my music is free of charge. You can download everything on my bandcamp thingy. You may support me with a few bucks if like, too. Tunes are released under creative commons. 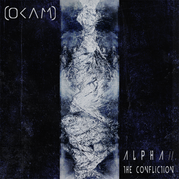 28.10.2018 "Alpha // The Confliction" is finally up on Spotify, iTunes, Tidal and all other streaming services. 25.09.2018 The cycle has come to completion! Alpha // The Confliction is now being spread by ENOUGH over the interwebs. Streaming on Spotify, Tidal, Deezer and others will soon be available, too. 12.09.2018 The first part of the ALPHA - OMEGA cycle has just now been released on ENOUGH Records. 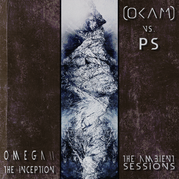 OMEGA is a team effort on the approach to some more experimental ambients sounds. Thanks again, Filipe! Check it out! 11.08.2018 Recent months have been really busy, yet productive. 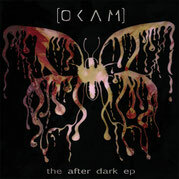 I'm really excited to announce that the following [OKAM] effort will be in the vein of an old days double album. 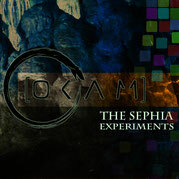 Both releases "ALPHA // The Confliction" and "OMEGA // The Inception" will be due this late summer. Whereby OMEGA consists of 4 quite experimental and different approach ambient tracks, that have been written in conjunction with Filipe Cruz aka ps, the head of ENOUGH Records. It was an awesome collaboration time. Thanks! 06.08.2018 Here's a little mixtape I compiled for the ENOUGH Records Radio Show. Might also check it out on mixcloud and soundcloud. 29.04.2018 There's lots of new music in the making and a new album will be due this summer. 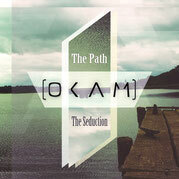 In the meanwhile check out this "new tune". 25.12.2017 Merry Xmas everyone! 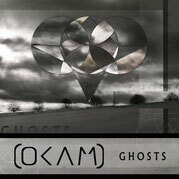 From now on you can stream "Shattered" on Spotify, Deezer and other services. 19.12.2017 Awesome! 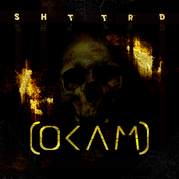 "Shattered" just hit 10.000 listens on FMA. This is sick! 05.12.2017 New album "Shattered" is being spread via ENOUGH RECORDS right now. Take a listen under /releases.